Belgrade is the romantic capital of Serbia. With a population of over 1.3 million residents, it is the largest city of the country. 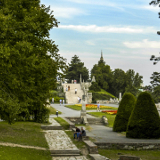 Belgrade offers you its wealth of history, as well as a variety of exciting sights and things to do. This destination’s tourist attractions include Belgrade Fortress, Knez Milhailova Street, and the Church of Saint Sava. 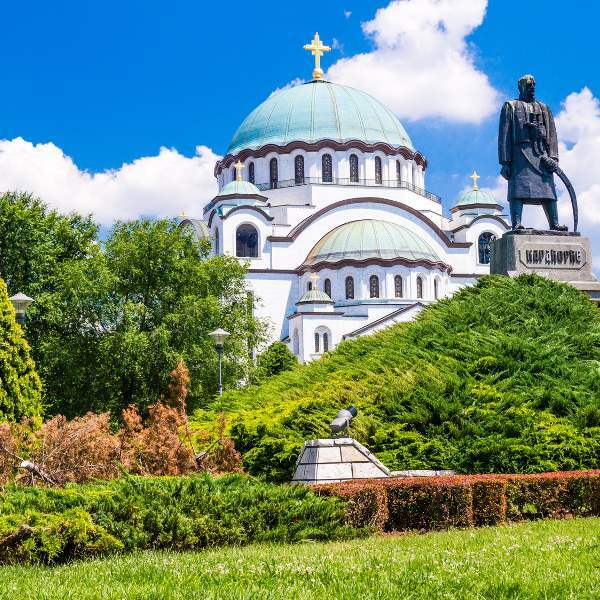 Get ready then to explore the beautiful capital of Serbia, because cheap flights to Belgrade are now available for a limited time! Belgrade Nikola Tesla Airport (BEG) is a 20 miniute drive from the city centre. Perched upon the lush spot where the Danube and Save Rivers meet, Belgrade guarantees its visitors a picturesque view. The capital of Serbia boasts a magnificent collection of historic Ottoman and neoclassic structures for visitors to explore. 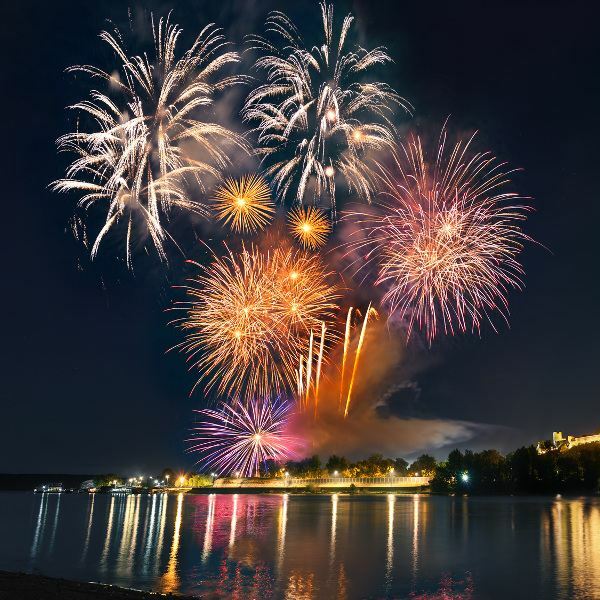 Belgrade is the site of a diverse array of over 100 annual festivals, celebrating everything from theatre and art, to music, to technology, to the city’s own culture and heritage. Belgrade is a destination that experiences moderate to high volumes of rain throughout the year. The summer season (June – August) is the most popular time to visit; temperatures during this time reach the high 30s, and visitors can enjoy various cultural festivals and special events. This means, however, that more tourists visit during this time, which results in little to no availability (unless you book well in advance) and higher hotel rates. Winters last from December to March, and are usually freezing, reaching as low as 5°C during the day (and as low as -1°C during the evenings). The month that sees a slight increase in temperature is March. If you’re willing to brave the wet weather (rain can reach volumes of over 90 mm), this will be the time to visit for access to greater availability, cheaper hotel rates and less chance of being overwhelmed by the crowd. 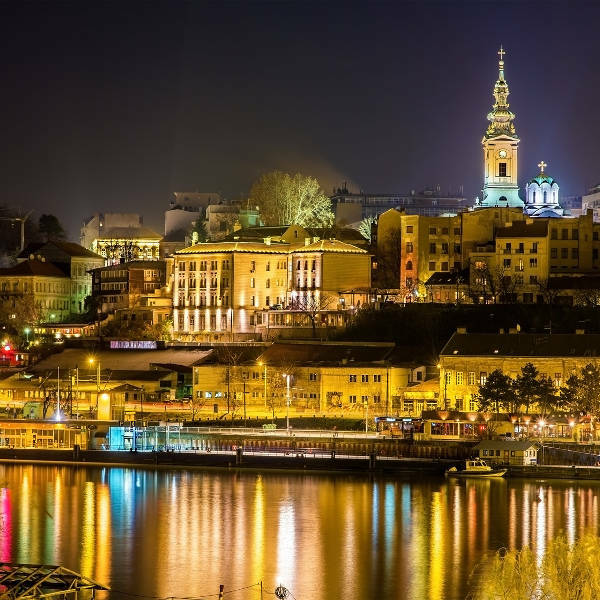 But really, it doesn’t matter when you visit this Serbian wonder: its fertile riverside location ensures that Belgrade is a beautiful holiday destination any time of the year. Belgrade is the capital of Serbia and despite the country’s war-torn history, it is a wonderfully romantic destination. Positioned where the rivers of Danube and Sava meet, Belgrade exudes a natural charm. With streets filled with magnificent Ottoman architecture and neoclassic buildings, Belgrade is home to forts, palaces, museums, religious buildings, zoos, street markets and more. This diverse destination provides everything you could want in a holiday. One of the top attractions is the Ada Ciganlija Island, situated on the Sava River, offering a wonderful, distinctly Serbian experience. Those interested in history can explore the Kalemeegdan Citadel and the Nikola Tesla Museum. 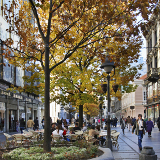 Otherwise, hunt for a souvenir at Belgrade’s lively markets, or simply relax at one of the quaint restaurants and cafés. Compare multiple airlines and book cheap flights to Belgrade with Travelstart! Make sure to get all the necessary routine vaccinations before departing for Serbia. Visit your local health practitioner to get more information on what vaccinations you need. Other diseases you should guard against include hepatitis A, hepatitis B, and rabies. Belgrade enjoys a relatively high level of safety; however, pickpocketing and petty theft has been known to occur, especially around public transport sites and in crowded areas. Keep your valuables secure and out of sight. Avoid wearing a backpack or purse. In pubs and bars, locals may try to start a fight. Simply walk away, and refrain from antagonising them. Homosexuality is not illegal in Belgrade, but those who practise it have been the target of discrimination. There are LGBT organisations in the city who can help. You can enjoy a variety of hotels, hostels and apartments in Belgrade. The cost of staying at one of them ranges from around РСД 3000 to around РСД 25000. In Belgrade, there are 12 tram lines, hundreds of bus lines, eight trolleybus lines, and nine minibus lines. You can pay for these services via the Bus Plus payment system, except for the minibuses. A paper card (valid for one use only) costs РСД 40. They come in the form of one-day tickets, three-day tickets and five-day tickets. There are taxis in Belgrade, but beware of taxi scams. The safest way to get a taxi is to order by phone. The official website of the taxi service in Belgrade is https://www.beograd.rs. If you choose to drive, remember to keep on the right side of the road. Rush hour traffic is between 08:30 – 9:30 AM and 04:00 – 06:00 PM. Beware of aggressive drivers and the taxis, which are notorious for suddenly changing lanes.